This week, we summarised all the God had created. Since we hadn’t talked about the creation of the first man, Adam, the previous week, we talked about him now. I had planned to take in some play dough and show my kiddos how God formed Adam ever so carefully, but I don’t know how it happened that I didn’t end up taking any to class with me. Oh well. So, we had to use our imaginations and imagined how God formed Adam from the dust and then breathed life into him. It was not nearly as fun as the play dough, but my little dears went along with it! 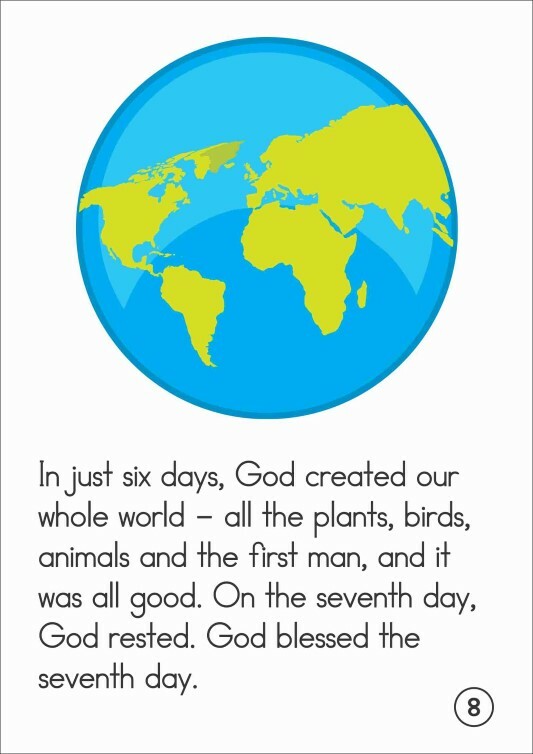 We also read from our Creation story book to find out what God did on Day 7. 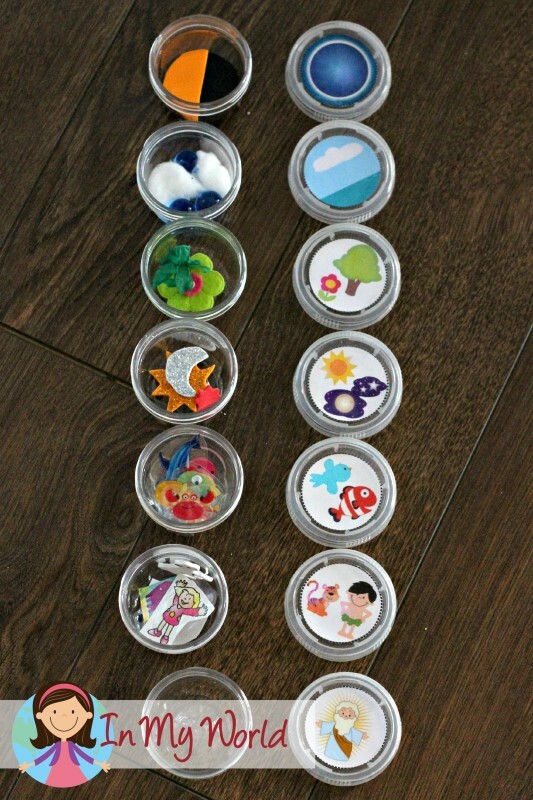 Next, inspired by Hands Bible Teacher’s post, I introduced the Creation Week sensory mini tub pack I made for my dears. I filled each mini tub with something to represent what was created on each day. 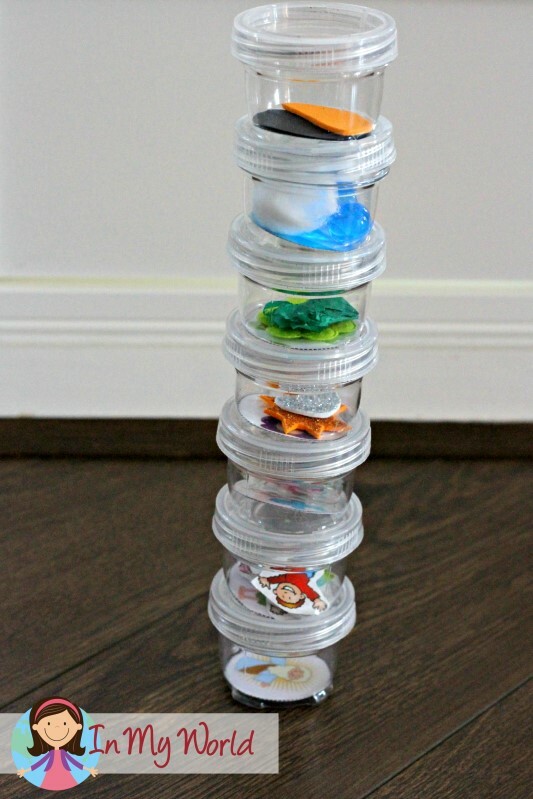 I also made a Days of Creation printable that I put on the bottom of each tub. Needless to say, this was the highlight of the day and the kiddos ALL wanted to have a turn ordering the tubs. 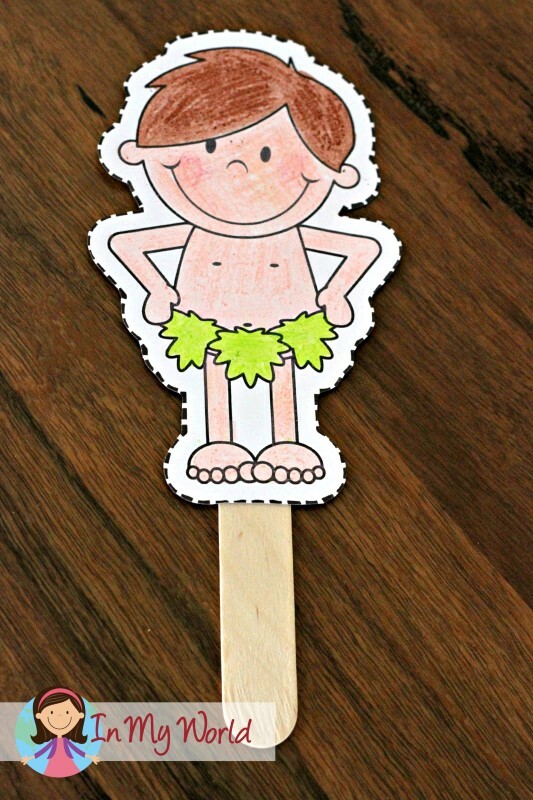 We coloured an Adam puppet to remind us that, on Day 6, God also created the first man and then the next day, on God’s day of rest, God talked to Adam. 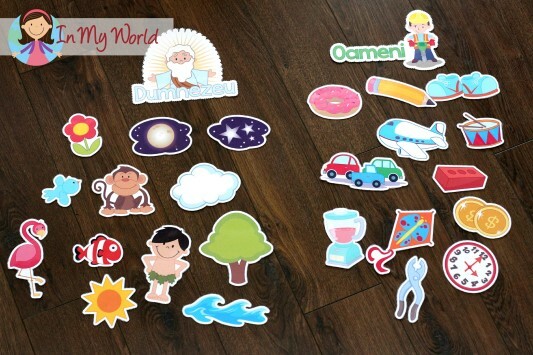 Once the children had finished their craft, we also played a sorting game to show the things what were created by God and the things that were created by man. Please click here to get the printables in English. Please click here to get the printables in Romanian. The products you create are so clever! Thank you for allowing us to download them for free, it is such a blessing. Many thanks for all the work you’ve put into your children’s programs. I teach a 4 year old Sunday School class and I search the internet for good material to supplement my lesson plan. 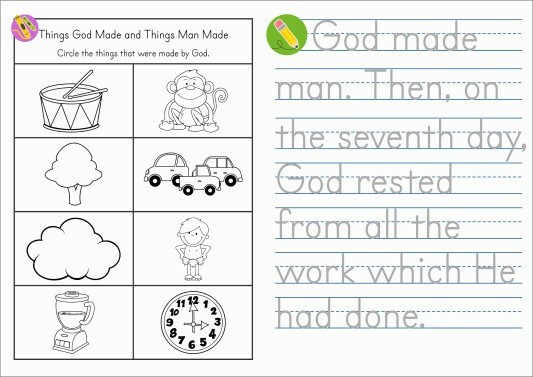 Your Creation series has been perfect; I especially like the send home sheet about what they’ve learned. I made mobiles for each day and make up simple snack bags with small water, a snack to reinforce the subject, and a clip art picture and Bible verse. You may like this idea from online: Salt Painting. Using water colors, show kids how to touch color to salt and the salt will take up the color. These turned out well, only you’ll have to carefully watch that the kids use a separate cup of water to clean brush between colors or they become muddy. Thank you, these ideas are great! Where did you get the small tubs? 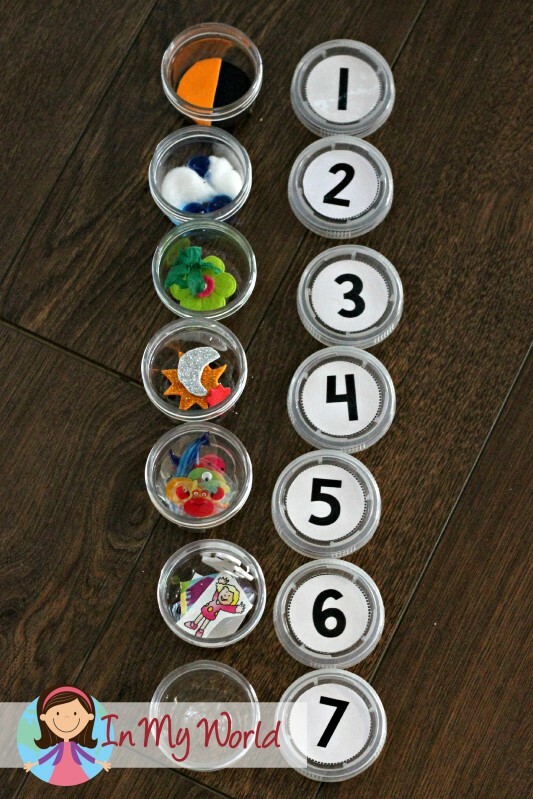 I LOVE this idea and will be using it this summer. Thank you so very much for the fun ideas and for sharing! Ce lucruri frumoase faci. Multumim ca le impartasesti cu noi si mai mult de atat le traduci si in romaneste. Dumnezeu sa te binecuvinteze si sa iti rasplateasca munca. Te apreciez mult. Thank you for taking the time to create, post and share your ideas and creativity. God bless you and all you do!